Kyle Maynard was born with Congenital Amputation but that doesn’t stop him from achieving unique feats. He has been an athlete his entire life and most recently became the first quadruple-amputee to climb Mount Kilimanjaro and Mount Aconcagua without the aid of prosthetics. An inspiration to millions around the world, this video by Great Big Story, brings out his greatness. This, is his story. Do you feel inspired by Maynard’s journey and story? 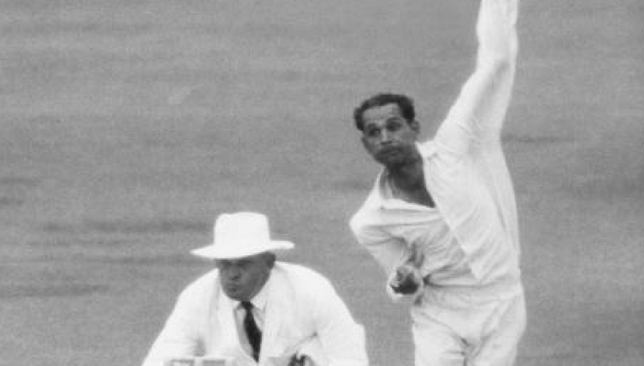 One of the most economical bowlers India has ever produced, Bapu Nadkarni, on January 12, 1964 bowled a record 21 maidens, 131 consecutive dot balls in a Test against England. The venue was Madras, and after India had scored 457 in their first innings, England in response started day two on 63-2. After the third wicket fell, Nadkarni, a left-arm spinner, was introduced into the attack. His accuracy and precision made England batsmen Brian Bolus and Ken Barrington defend everything. At the end of the day, his figures read 29 overs, 26 maidens, 3 runs and no wickets. Well, talk about giving nothing away, and testing the batsman’s patience, Nadkarni was right on top that day. 1995: Murder trial against NFL Running back OJ Simpson begins in LA. 1997: US-born golfer Tiger Woods wins Mercedes Championships after defeating Tom Lehman in the final. Who has the most economical Test bowling figures? We look at the sporting superstars born January 12. 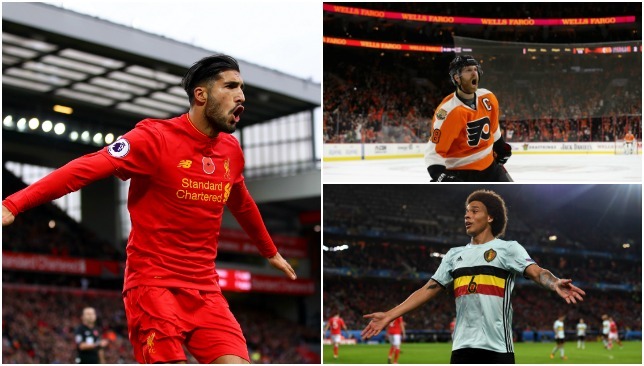 German footballer Emre Can turns 23 today. Signed by Liverpool in 2014 from Bayer Leverkusen, Can started his career by featuring in Bayern Munich’s Reserve team. A versatile midfielder, Can emerged as one of the emerging young players of the Premier League, in the 2014-15 season. He did both attacking and defensive duties for his team. He made his first appearance for Germany under Joachim Loew, in August 2015 and was also part of the Euro 2016 squad. His first goal for the Reds came against Chelsea in November 2014. Under Jurgen Klopp too, Can has been impressive and continues to be a regular starter. 1988: Claude Giroux – Canadian Ice hockey player, captain of the Philadelphia Flyers of the NHL. 1989: Axel Witsel – Belgian footballer, plays for Chinese club Tianjin Quanjian currently. 1987: Salvatore Sirigu – Italian footballer, goalkeeper, plays for Sevilla, on-loan from Paris Saint Germain.